With more than a decade managing portfolios for high net worth clients and extensive background in research and analysis, Trish delivers the highest degree of personal touch to Hotaling’s range of portfolio management services. Prior to joining the Hotaling team, Trish was with Pennsylvania Trust Company as a Portfolio Manager under the Multi-Cap Value investment strategy, where she also served on the investment committee as a primary contact for all client account relationships. Her knowledge and application of Global Investment Performance standards and an exceptional talent in monitoring and tracking performance for individual client portfolios earned great respect among her peers. Trish’s keen analytical skills bolster Hotaling’s advisory capabilities. 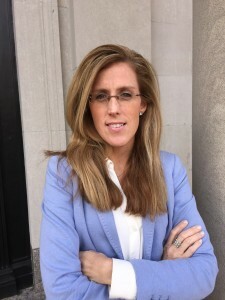 After completing a dual undergrad degree in Finance and Business Administration from Bloomsburg, Trish earned her MBA from Penn State University. A native of Swarthmore, she now lives in Berwyn, Chester County, with her husband and three children. An avid athlete herself, Trish is also actively engaged in her children’s sports interests and teams, assists the Conestoga Generals Youth Football Organization, and finds opportunities to contribute to philanthropic efforts of St. Norbert Parish.